The campaign aims to reposition the soft drink as a premium adult drink, connecting with those who remember it from childhood holidays in France. The effort includes a new strapline for the brand, "C’est shook", which plays on the fact you have to shake the bottle before drinking it. 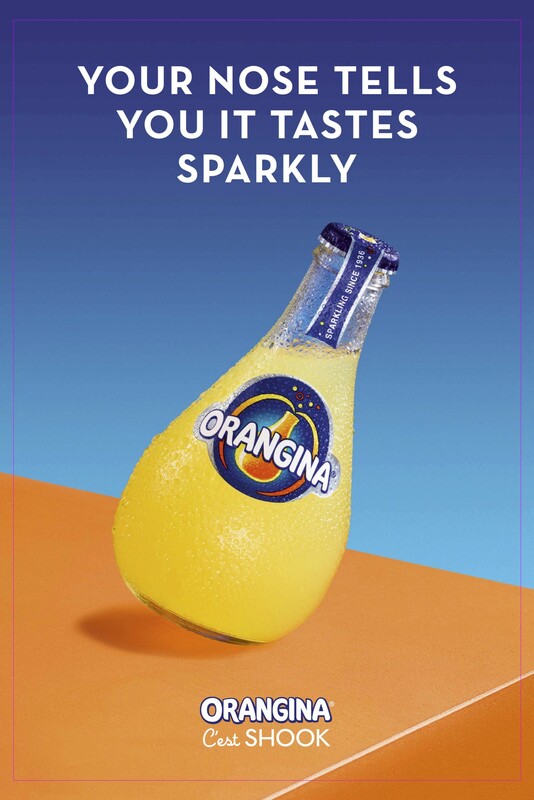 Orangina says this physical action has inspired its philosophy that "life is flat unless you shake it", and hopes the campaign will connect with those who rejoice in the less ordinary. The work will launch tonight at Orangina’s rooftop Pentaque club, "Boulers", which has been created in partnership with the Institute of Competitive Socialising and Frank PR. The club will be open until 2 September and will allow vloggers and the public to try the French sport. The campaign is the first piece of work created by Grey London, after it won the business in October last year. The main film shows a boy running down a hotel corridor, racing past guests to reach the lift to press the button first. To the dapper guests, their pet dog and the boy’s own surprise, the lift doors open to reveal a French girl hula-hooping while shaking Orangina, to the upbeat sound of French pop number, "J’adore ce flic". The film ends with the new tagline "C’est shook." The spot was directed by American director and photographer Autumn De Wilde – renowned for her surreal short film series "The Postman Dreams" for Prada and her album covers of artists such as Elliott Smith and The White Stripes – through Somesuch. It was created by Stevie Rowing-Parker and Emily Churches and creatively directed by Darren Wright at Grey London. The film is supported by out of home executions that include: 'Skewiff. It tastes better that way’ and ‘My nose tells me it tastes sparkly’. Jamie Nascimento, the marketing manager, brand integration at owner Lucozade Ribena Suntory, said: "We want to shake up the soft drinks category. After conducting research into our consumers it came to our attention that people have great memories of the Orangina brand. "With our new campaign we want to reach ‘Open Socials’ – 22 to 30 year olds who are willing to pay for quality and who are looking for new experiences. ‘Life is flat unless you shake it’ will take the shake ritual from a physical action to more emotional territory." Grey London handles all creative and through the line activation and social content for the brand, as well as supporting distribution and sales in key retail channels. The agency also works on sister brands including Lucozade Sport and Lucozade Energy.